One thing I was really excited for at IWA 2017 was checking out the companies that offer tactical clothing for women. With women being the biggest growing demographic in shooting sports more and more companies are recognising the need for female specific gear which is great to see. 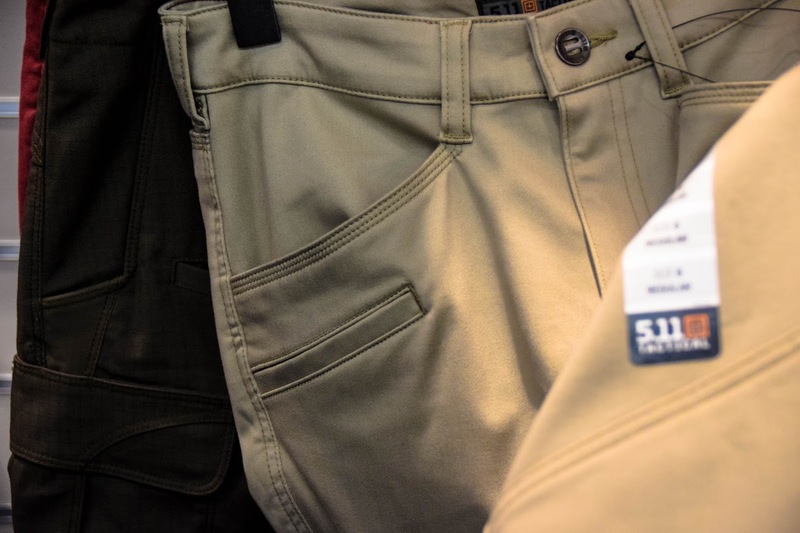 In this post I take a look at the range of ladies wear from brands such as Pentagon, Helikon Tex and 5.11! So first on our list is Pentagon Tactical. Pentagon are an affordable brand that offer a substantial range of high quality tactical clothing. Although their current range is unisex, there are a few items that I have found from my own trial and error whilst building loadouts that really work for me - the Pentagon Artaxes Soft Shell which are in a lot of my CQB pics and the Pentagon BDU 2.0 Pants (you can view my review of the BDU 2.0 trousers here) - now I have the ranger green pants for my civvi loadout looks and wear a 34" waist which is the smallest they do, despite the unisex cut they aren't too baggy or loose but still give me a fair bit of movement making them super comfy to wear for Airsoft. 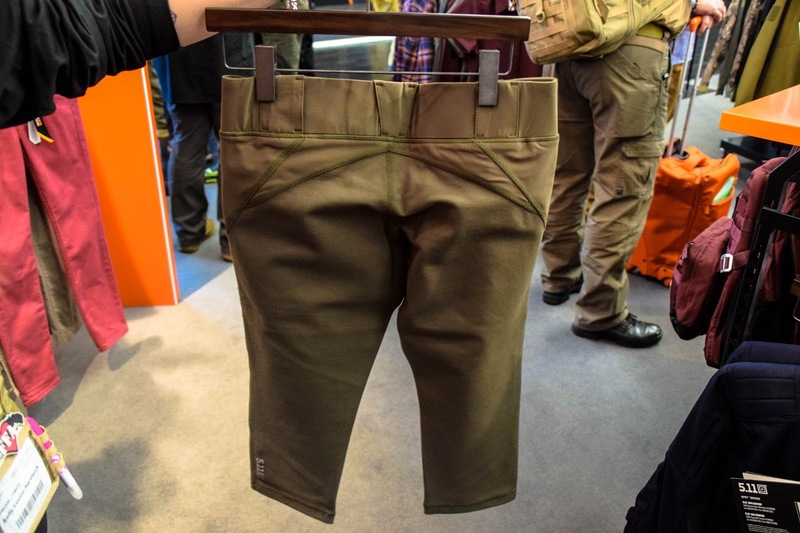 Whilst at IWA 2017 I spoke to one of the Pentagon team about if there were any plans in the future for a women's line and I'm super happy to report that they will be rolling out a women's line in the summer of 2017! 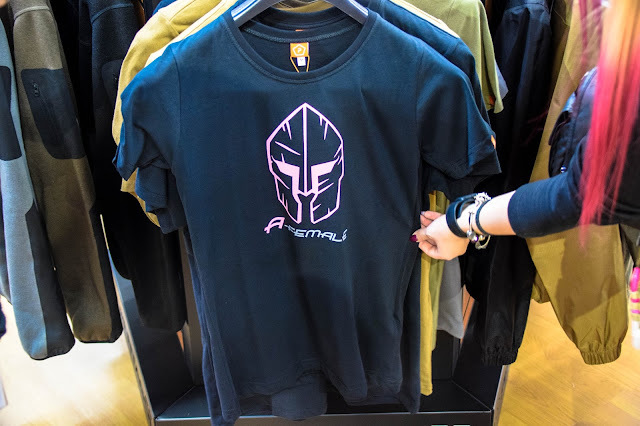 At the show they had their first piece of women's clothing on display and it was the ladies T-shirt which had a really cool Spartan head print with 'A-FEMALE' in a black/pink colourway. Although it doesn't seem like much, I think it's a great step in the right direction and I'm super looking forward to the rest of their women's line! Net up is Helikon Tex. Helikon have been slowly rolling out a women's line which is constantly expanding. 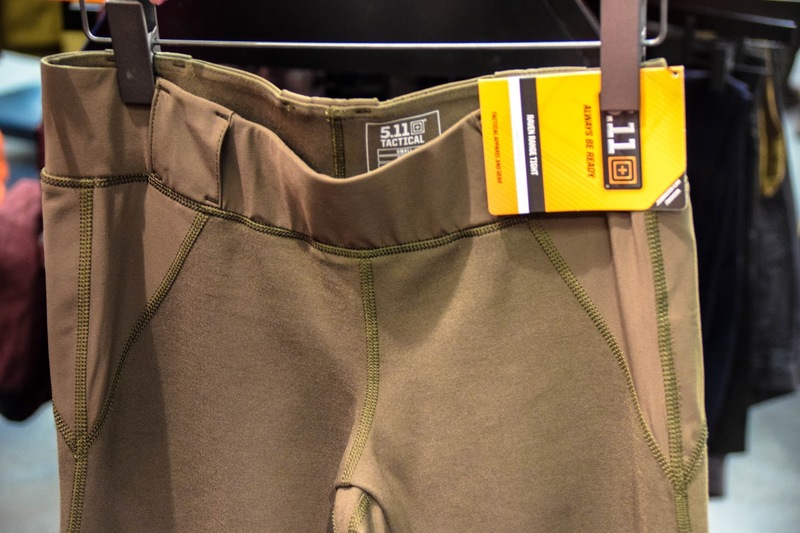 I have already tried the Women's UTP (Urban Tactical Pants) and Classic Army T-Shirts - the review for them can be found here and I was really impressed with them and it turns out they have a tonne of new products for women hitting the market this year. A lot of the new items Helikon Tex are bringing out for women were not at IWA because they haven't been released yet so unfortunately I didn't get any images in person but I've imported a few snippets from their 2017 catalogue so you guys can see just what they're coming out with. We'll be reviewing these items as soon as they're available. The Women's Cumulus Heavy Fleece is an outdoor fleece jacket that has been designed to fit the curves of the female form - no more baggy fleeces! Yay! The Urban Tactical Skirt is something we did get to see at IWA, however I feel that this product would be better suited to a range day than an actual Airsoft game (can you imagine your knees?!) 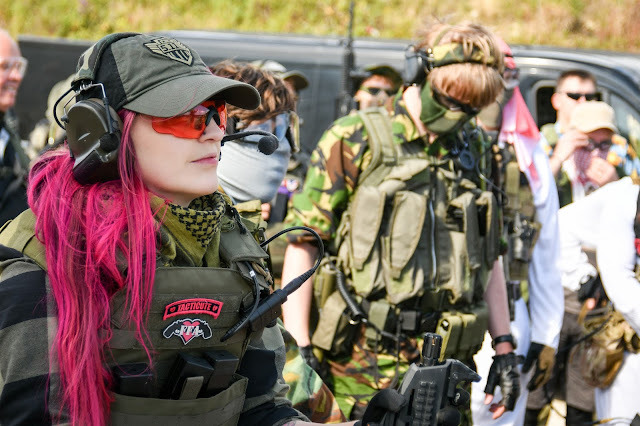 but I think this gives female shooters more of a variety of what they wear on the range. It has loads of pocket space and the material feels super durable. Last up from Helikon is the Women's UTL Polo Shirt, it's made to fit the contours of women's bodies, gives the shooter plenty of room to manoeuvre and is made from a quick wicking fabric. I am really looking forward to testing the Polo Shirt as it looks like it would be great to wear on a hot Airsoft game day! Lastly, we have 5.11! 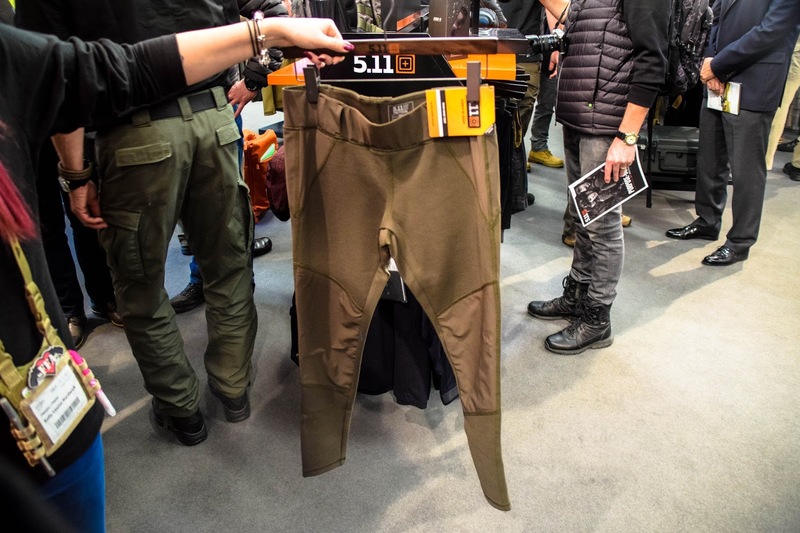 5.11 Tactical are a very well known brand that have a huge line of clothing for women. 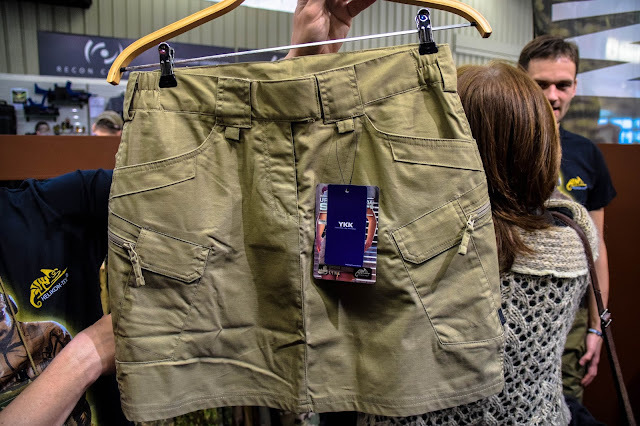 With their women's line they don't do much in camo and this is because they are moving away from clothing with a Military feel and in a direction of a fashion brand with all the functionality that a female shooter would need, like pockets that fit AR15/M4 magazines. I spent some time with 5.11 going through the clothing they offer for women. 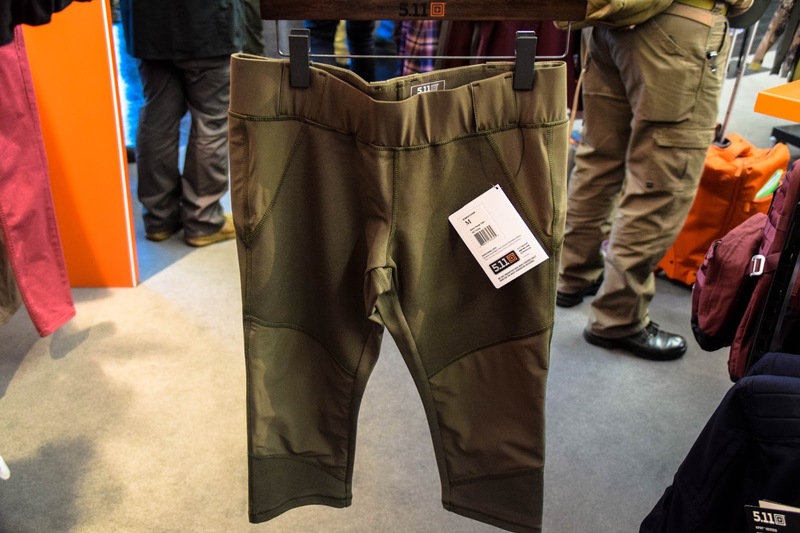 So the Raven Capri and Raven Range Pant is made of an antimicrobial, moisture wicking double layer stretch fabric which makes it super comfortable to wear and gives the shooter plenty of room to move. It has wide belt loops and abrasion panels for belt/holster wear. Although it may be more suited to wear on the range rather than an Airsoft site, I think these would be a super comfortable pair of trousers to wear. 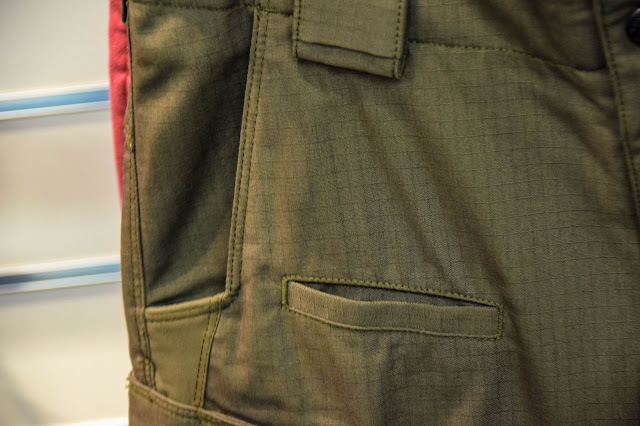 The Wyldcat pant is made from a stretch fabric with a sateen finish that is available in black, khaki, blush and grenade, it has low profile magazine pockets on the back, and with double knee construction and zippered leg gussets (so the shooter can wear the trousers tucked in or over boots) these are a great pair of practical trousers that have a slim fit and are available in colours suitable for loadouts. 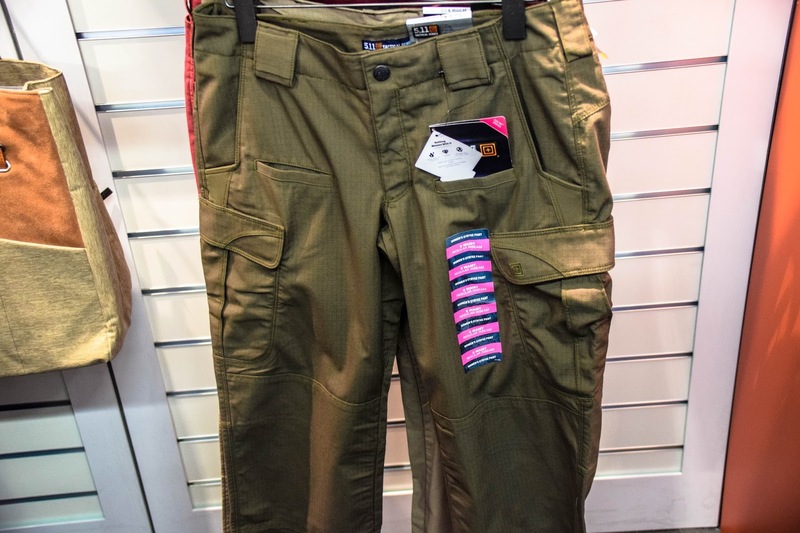 The last product in our ladies tactical clothing post is the Ladies Stryke Pant! 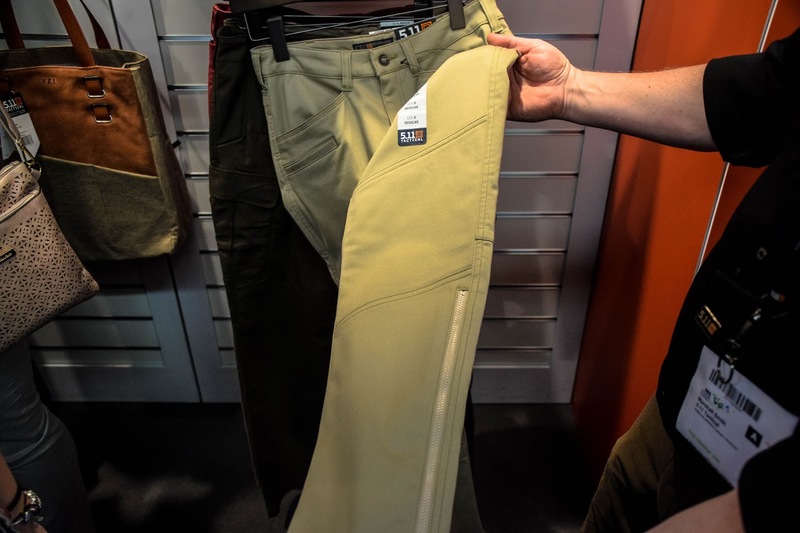 I have a pair of these in black which I wear for my Police MilSim loadout, they are a super comfy pair of trousers that have loads of pocket space, discreet knee pad pockets and is made from a 2-way Flex Tac Mechanical stretch fabric that features a Teflon finish for stain and soil resistance and it also features rip stop making these a practical pair of trousers for Airsoft or everyday wear. These also come in a range of tactical colours! 5.11 have loads more in their Women's range including the Cirrus Pant, the Rapid Half Zip, the Glacier Half Zip, a great selection of shirts, the Athena belt and the Kella belt. I'm really looking forward to seeing these products hit the market and to get my hands on them to test and review!